← For those who have asked, here is a video of Rufus. 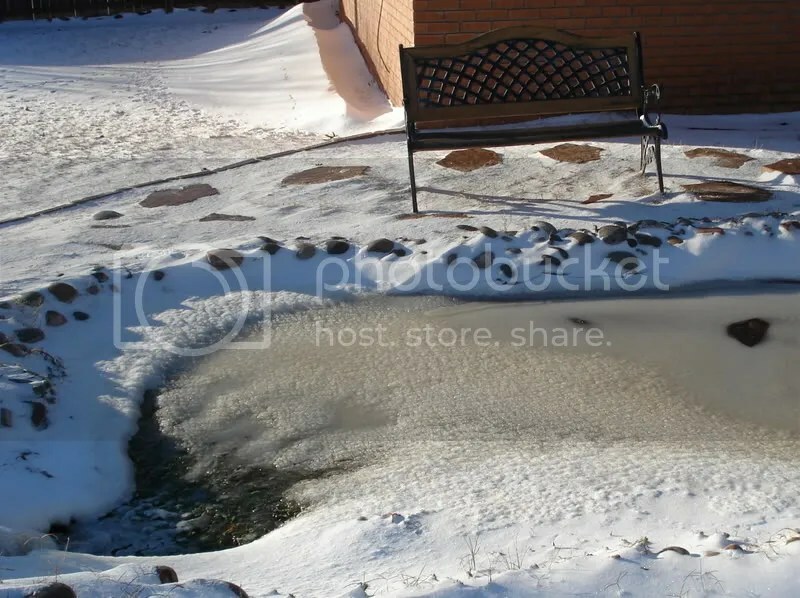 My goldfish pond is frozen this morning! It is 20 degrees F this morning, and there is ice on our goldfish pond. The goldfish are just biding their time waiting for spring. Don’t worry, God planned it out that fish can live in a frozen pond just fine. Their system slows down, and they just hang out and do nothing all winter. This picture above is from a couple of years ago, but this is what my pond will look like soon.